Cluster genealogy may be the technique to employ to help get research that is stuck, moving again. The best analogy to describe it is casting a wider net when fishing. Most folks who have been doing genealogy for a while come across that one ancestor that leads straight to a research dead end. Try as you may, you just can’t locate a record or bit of information that would push your research forward. When your research is stuck in neutral, think about stepping back and looking at the situation from a broader view. Your ancestors did not live in isolation, they were surrounded by family, neighbors, co-workers and friends. The people outside of your direct family line make up what is known as a cluster. Expanding your research to cluster members could be your key to success as the records of siblings, cousins, and other family members may provide clues to the next generation. A record for your ancestor may be nearly impossible to find, but the same record for another cluster member might be easy to get and provide important clues. The recent availability of online digitized records makes this technique more viable than in the past. In the days of spending money to order rolls of microfilm and the time to do the research made cluster research not very feasible. Now, it is possible to pull up images of documents for a neighbor or cousin with a couple of keystrokes. Cluster genealogy does not have to be rigorous or regimented. Just evaluate evidence from a slightly different perspective. For example, families tended to immigrate together. When reviewing a boat record, look closely at the names just above and below your ancestor to see if they were relatives or neighbors from the same town. The person standing in line right next to your ancestor might have been an old friend or a cousin from back home. When you find your ancestor on a census record, look at other names on the same page. It is likely that a census worker was going door to door and the names above or below are next door neighbors. The neighbors could even be related as family members like to live near one another. 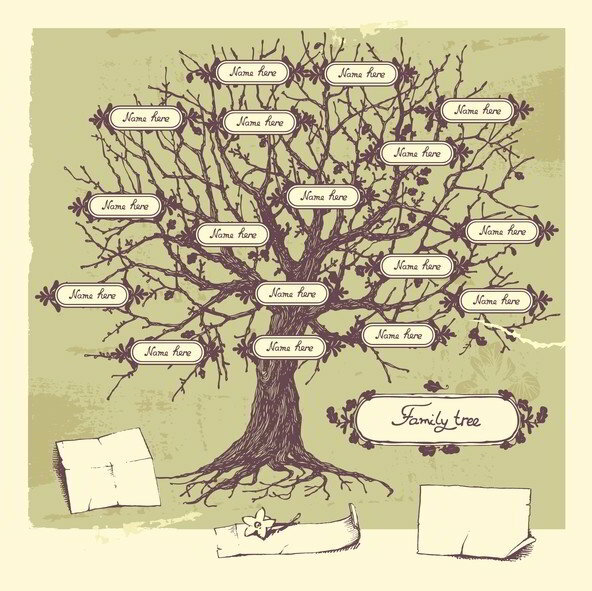 Witnesses on a marriage certificate or homestead document make good choices for cluster genealogy as they are likely to have a special bond with your ancestor. Also, you can look at plat maps to find the names of their neighbors. Cluster genealogy may seem like a long-shot, but it can be an effective research technique to get your research moving forward again. Just keep picking around the edges until you catch a break.